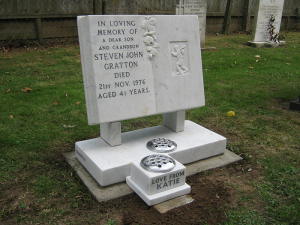 These are the most popular type of memorial as most if not all cemetery's allow them .we supply many types of granite polished or honed in many different shapes and designs. 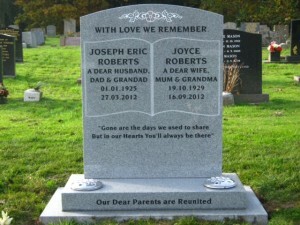 This type of memorial we can supply for double or single grave spaces but please be aware most cemeteries and churchyards have restricted areas for this type of memorial. 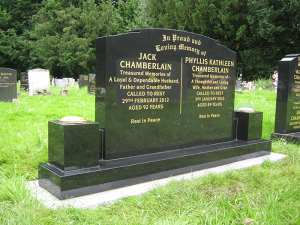 We supply various slate, honed light coloured granite or sandstone memorials for churchyards most churchyard set guidelines of material and type of memorial allowed within the churchyard, please see your local diocese regulations to see what is allowed. 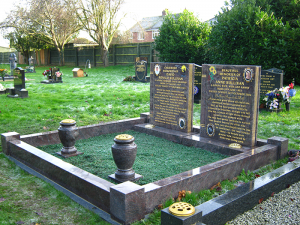 Most cemeteries have a garden of remembrance and stipulate a particular size and design for their cremation area, which we will supply. 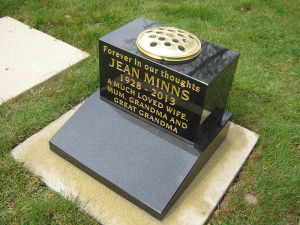 We can supply many different shapes, sizes and materials in granite, marble and stone to suite what is required sometimes families prefer a plaque or vase for their loved one. 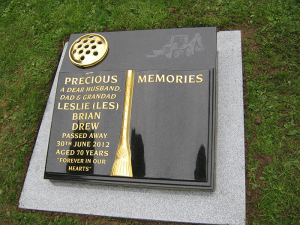 When space has been left for a loved one to b added we can take the memorial up for further inscription to added. We will undertake the cleaning and renovation of memorials and bring them back to their former glory. 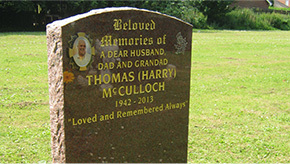 We would require details, pictures or viewing of said memorial to quote a price depending on what work is required. 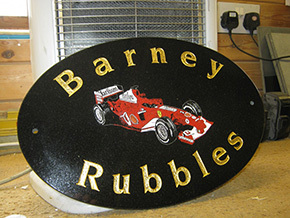 We can supply various shapes and sizes in granite for house signs and name plaques with a multitude of inscriptions and designs.